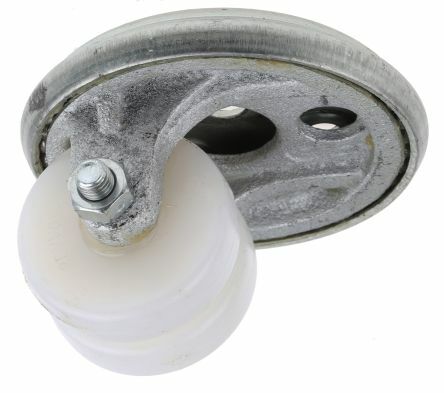 Stamped chromate zinc-plated steel castors for light-weight and light-duty applications, advertising stands and lightweight furnishings.Grey polypropylene copolymer wheel body with full grey rubber tyre.Swivel on two greased treated steel crown bearings. 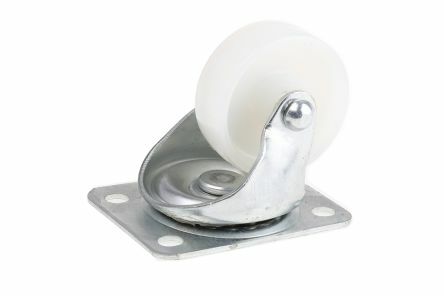 Plastex or polychoc castors with double wheels that create a differential when pivoting. 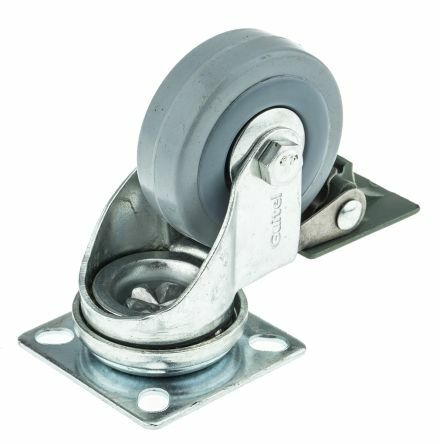 Pivot on two crown bearings.Smooth bore and riveted shaft.These small-diameter castors can withstand a light load.Applications: devices for institutions, advertising displays and furniture.